- ) One piece, roto-molded polyethylene construction is extremely durable. - ) Food grade material with safety guarantee for usage, eco-friendly, non-fading, UV resistant. 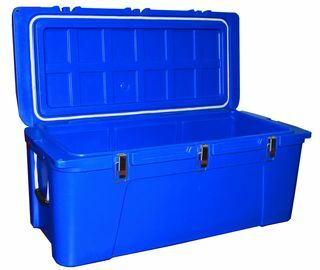 - ) Thick polyurethane foam throughout the cooler body provides superior insulation. - ) Freezer-style sealing gasket locks in the cold. - ) Durable Stainless steel latches on the front could be used even longer. - ) Full length, self-stopping hinge can’t hyper-extend and break. 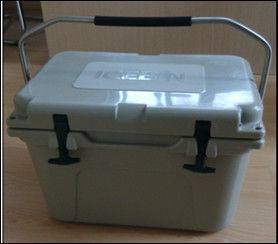 - ) Pad lock holes are molded into cooler body and lid. 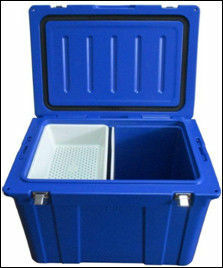 - ) Non-slip, non-marking rubber feet keep the coolers standstill. - ) Nylon rope and textured grip handles make carrying easier and hard to break down. - ) Drain valve design with recessed drain plug could let the melted ice flows out easily. 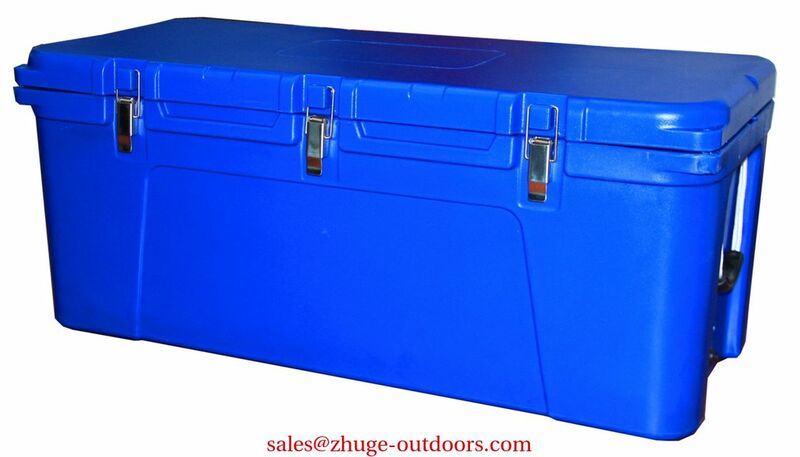 - ) Tie down points are molded into the cooler body for solid mounting.